Eating healthy is the topic of conversation in many circles throughout the day. 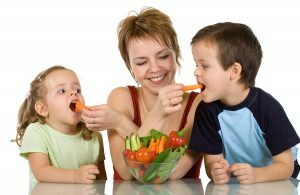 More and more, people are discussing how to avoid health issues by eating the right way. For some, it is a matter of talking about what worked well for them in the past. Others talk about it because they would like to lose weight or perhaps just enjoy some of the health benefits of eating properly. When it comes to eating healthy, there are so many different options available that sometimes it becomes overwhelming and confusing. When things are broken down on a basic level, however, it becomes easier to see the forest for the trees. Every person has probably heard on multiple occasions how important it is to eat fruits and vegetables. The reason why it is parroted so often is that it forms the basis of any good, healthy eating program. When a healthy diet is followed, it is possible to eat fruits and vegetables without restriction. If a completely clean diet is not followed, however, it may be necessary to restrict certain fruits because they are high in sugar. Another important factor to consider when eating healthy is knowing what goes into the food that you put on your dinner plate. Most people purchase everything they eat from a box or a can because it is convenient and less expensive. There is no doubt that we live busy lives and we find it easy to overlook something as simple as reading labels; but we shouldn’t. You’ve probably heard something along the lines of “if you can’t pronounce it, don’t eat it.” Take a few minutes to become familiar with what you ingest. Some of the ingredients found in prepackaged foods are not only unhealthy, they could be deadly. This includes various preservatives, additives, and even hidden ingredients that really don’t belong on our dinner plate. Not only do the food companies add these items to boxed or canned foods to increase the shelf-life of the product, they hide the fact that they do so. As a general rule, it is best to avoid anything out of the box or a can and stick to whole foods. This is a topic of much debate; people don’t know what to believe when the “experts” can’t agree. So, in my opinion, it’s okay to agree to disagree when it comes to adopting a healthy diet. Some people eat meat and may base their diet around meat. Examples of that type of healthy eating include the Keto and Paleo diets. Other people limit certain types of meat or perhaps even remove it from their diet altogether. So which is the best choice to make? A healthy diet is what works for you as an individual; specifically it’s about your overall health. For those who want to include meat in their diet and it’s not harming their health, then go for it. On the other hand, there are those who avoid meat because they feel it is an unhealthy food choice and for other reasons. There’s nothing wrong with that either. If nothing else, please understand that eating healthy means avoiding heavily processed foods. That should be a no-brainer and your body will thank you for it. So will your pocketbook as you can actually save money as you transition to a healthy, clean diet. Hopefully, this will help you understand that you need to take charge of what you eat and make good choices. There is no one-size-fits-all answer so you need to do your homework if you want to adopt a healthier lifestyle. You can’t go wrong if you start your journey toward healthy and smart eating.